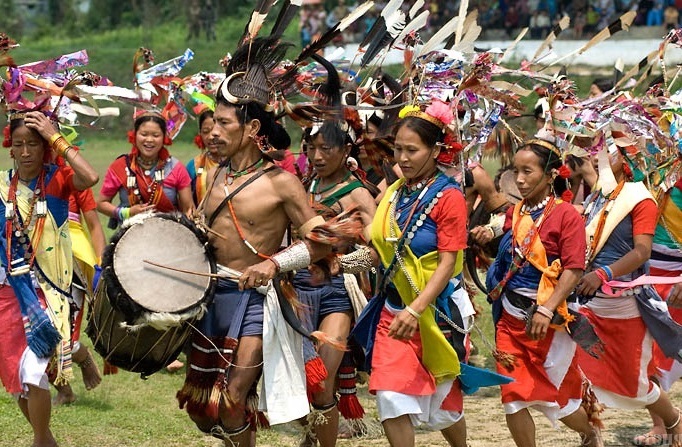 Arunachal Pradesh Agriculture Minister Wangki Lowang hailed the Tutsa community for its effort in preserving and promoting their cultural traditions. Attending the Pongtu festival of Tutsa community at Khonsa, Lowang said traditional literatures, like folklores/folktales are in danger of becoming extinct. He urged the research scholars to find ways to preserve and promote them. He also emphasized the need for inclusion of Tirap, Changlang and Longding districts in the tourism circuit of the State. The local legislator who is also the chairman of Agricultural and Processed Food Products Export Development Authority (APEDA), Wanglam Sawin, urged the Tutsa community to preserve, protect and promote their age-old culture and traditions. Sawin said that folk songs and folktales and the village council/ chieftainship system which are being practiced from time immemorial must be taught to the younger generation. The celebration was marked by colourful traditional dances performed by villagers of Kothung and Tutnu and Tutsa modern mega dance performed by young girls of Tutsa. Earlier, the celebration began with Rangtaam rituals led by Chief of Tutnu in presence of the invited dignitaries in Tutsa’s Pang (Morong hut). The programme was attended, among others, by Deputy Commissioner of Tirap PN Thungon, Commandant Officer 16 Assam Rifles Col Robin Kumar, former MLA Kamthok Lowang, ZPC Sontung Lowang. Pongtu festival was also celebrated with much pomp and traditional gaiety at Changlang on Wednesday. Attending the festival in Changlang, Minister for Food & Civil Supplies and Geology & Mining, Kamlung Mossang urged people to not mix religion with culture and called for preservation of the age-old culture and tradition.